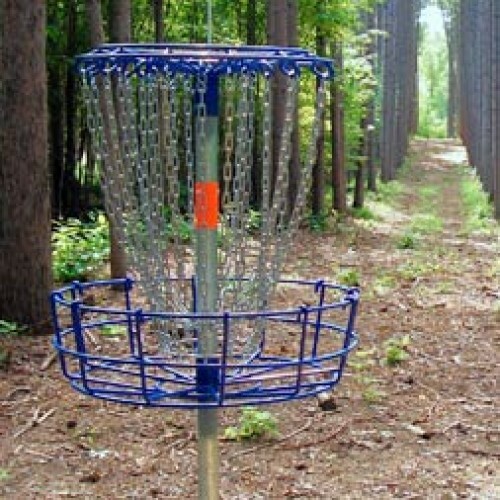 The DGA Mach V Deluxe disc golf basket is permanent and removable. An anchor (installation tube) with an attached locking tab is cemented directly into the ground. The pole with an attached locking collar fits into the anchor and then the tabs lock together. The entire basket and pole can then be removed from the sleeve and inserted into additional sleeves (purchased separately) for alternate pin placements which add interest and challenges to your disc golf course.